Essential protection against hackers and malware. Decreases scanning time by scanning specific file types − such as archives − during the download process. 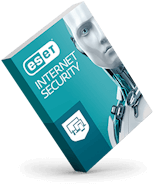 Speeds up scans by whitelisting safe files based on the ESET Live Grid® file reputation database. 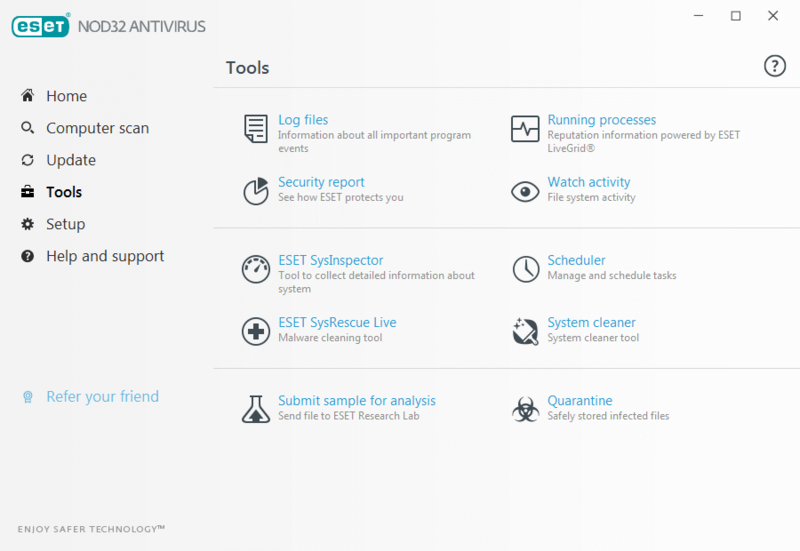 Helps to proactively stop unknown malware based on its behavior, by comparing it with our cloud-based reputation system. Allows you to prevent unauthorized copying of your private data to an external device. Allows you to block storage media – CDs, DVDs, USB sticks, and disk storage devices. Lets you block devices connecting via Bluetooth, FireWire and serial/parallel ports. 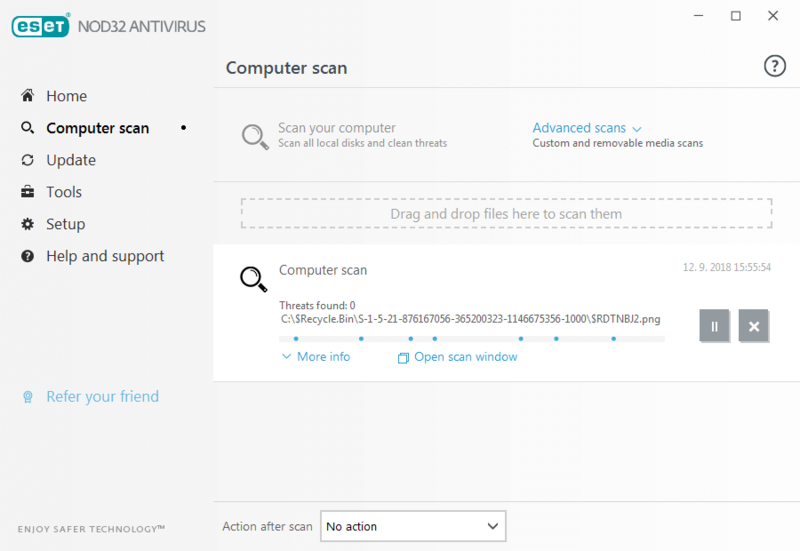 Aids system performance by performing in-depth scans when your computer is not in use. Helps detect potential inactive threats before they can cause damage. Lets you customize the behavior of the system in greater detail. Gives you the option to specify rules for system registry, active processes and programs to fine-tune your security posture. Postpones all non-actionable pop-up windows, updates and system-hungry activities to preserve system resources so that you can stay online and unplugged longer. 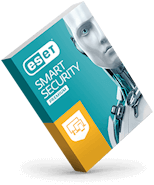 ESET Smart Security Premium automatically switches to silent mode if any program is run in full-screen. System updates and notifications are postponed to save resources for gaming, video, photos or presentations. 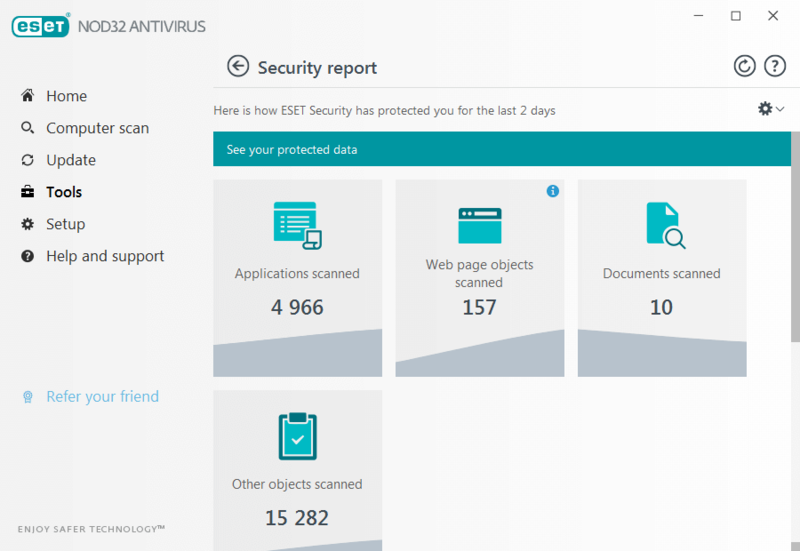 Gives you a monthly insight into how ESET protects your computer. 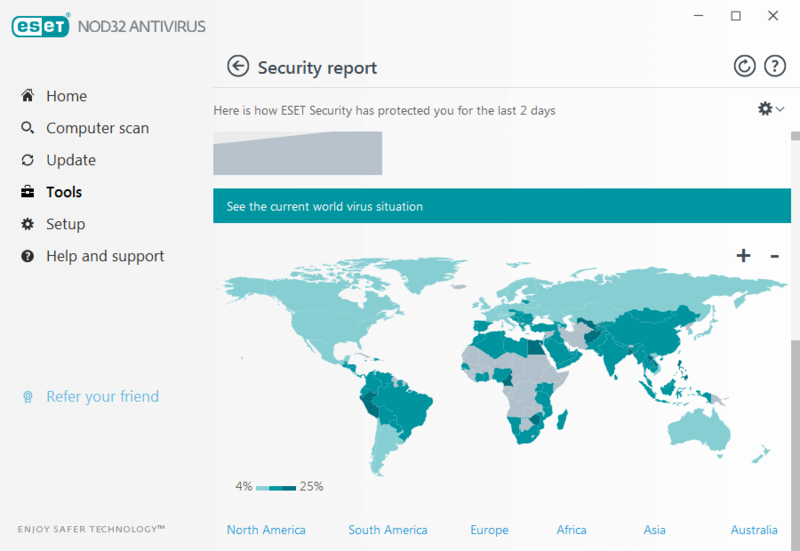 This summary includes information about detected threats, blocked web pages, intercepted spam emails, blocked webcam accesses and more. ESET NOD32 Antivirus runs on any system with Microsoft® Windows® 10, 8.1, 8, 7 SP1, Vista SP2, and Microsoft Windows Home Server 2011. Internet connection required. 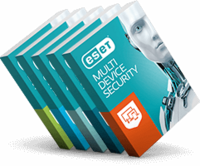 Device management, Anti-Theft and Parental Control setup.